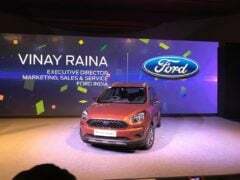 Ford India has just unveiled the new Ford Freestyle. 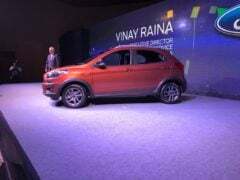 Based on the Figo B-segment hatchback, the new car is being promoted as a ‘Compact Utility Vehicle’. The new Freestyle has several crossover traits, which helps it look more rugged. 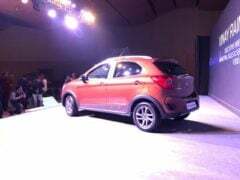 Basically, the new Freestyle is to the Figo what the i20 Active is to the Elite i20. The new car is expected to launch soon after the advent of next financial year and prices are likely to start at Rs 5.3 Lakh. 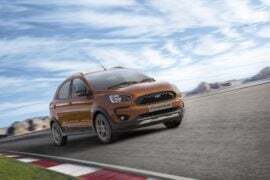 The new model will aim to enhance the sales performance of Ford India in the B-segment. 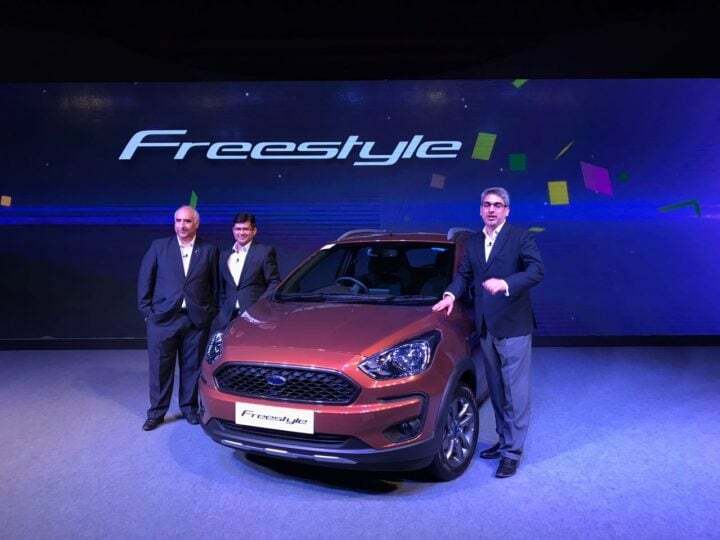 Our guess is that the official launch of the Freestyle would happen soon after the advent of the next financial year. 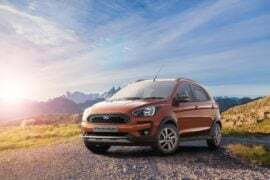 The new 2018 Ford Freestyle version is expected to command a considerable price premium over the regular Figo. Prices of the regular Figo currently start at Rs 4.8 lakh. The top-end model costs Rs 7.7 lakh. 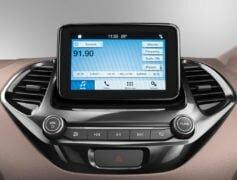 The cross version could command a price premium of Rs 50,000-60,000. The increase in price will be justified thru a more rugged exterior, more features and the new petrol engine. While the 1.2-litre motor will be new, we expect the Figo Cross to get the remaining two engines – 1.5 Petrol, 1.5 Diesel – to make it to the Cross version without much change. 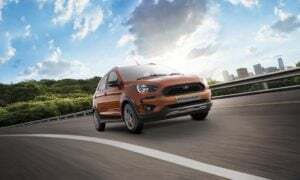 Talking about the specs, the new 2018 Ford Freestyle will get its juice from the company’s new 1.2-litre petrol engine from the Dragon series of motors. The new 1.2-litre Dragon petrol engine delivers a maximum power of 96 PS along with a peak torque of 120 Nm. The motor comes mated to a five-speed manual transmission. This petrol engine will also make its way to the regular Figo hatchback and the Aspire compact sedan. Three Freestyle will get the same Diesel engine as the current Figo. 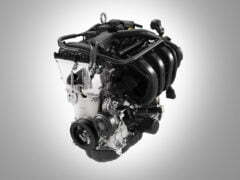 This 1.5-litre Diesel engine outputs 99 BHP and 215 Nm. It comes mated to a 5-speed Manual Transmission. The new 1.2-litre Petrol engine is likely to deliver around 21 KMPL. In comparison, the Figo’s current 1.2-litre engine offers a peak mileage of roughly 19 KMPL. Also, thanks to a really mediocre low-end grunt, the engine fails to deliver a very high mileage in real-world driving conditions. All this is likely to change with the advent of the new 1.2-litre, 3-cylinder Dragon series engine. The Diesel engine will be carried over from the Figo hatchback. It will offer a mileage of up to 25 kmpl. So, are you waiting for the launch of the new Ford Freestyle? Share your views with us by writing them down in the comments section below. Also, stay tuned to Carblogindia for the latest news updates on cars and motorcycles relevant to India.